All rates are for 2 adults and children under the age of 12. Additional adults overnight are $5 and $3 for day visitors. One night deposit required with reservation, refundable if cancelled within 14 days of arrival. *Deposit is required. Holiday stays must be paid in advance and are refundable only if cancelled with 30 day notice, less a 10% processing fee. All other reservations require a one night deposit, refundable if cancelled 14 days prior to check in, less 10% processing fee. Seasonal sites start at $2,600. Electric is paid by seasonal camper. Meters are read monthly. 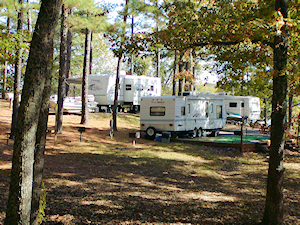 View our campground rules or view the full list of our campground regulations.